By playing you also support our There for You charity. Winners are selected at random each month. When you join you’ll be sent your lottery numbers, which will automatically be entered into every draw. And the more people that play, the bigger the prize fund becomes! People can face unexpected difficulties during their life. That’s why our unique charity is there to support members and their families. Whether its debt, emergency financial help, coping with ill health or losing a loved one – There for You help members through the tough times. 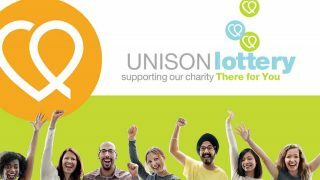 A leaflet to let activists and members know more about the UNISON lottery. PDF for download only. Display this poster in workplaces and branch’s to encourage UNISON members to join the lottery. PDF for download only.